Description: Ressource City, based in Naestved, Denmark, is taking up an unexpected challenge: doing business with waste. 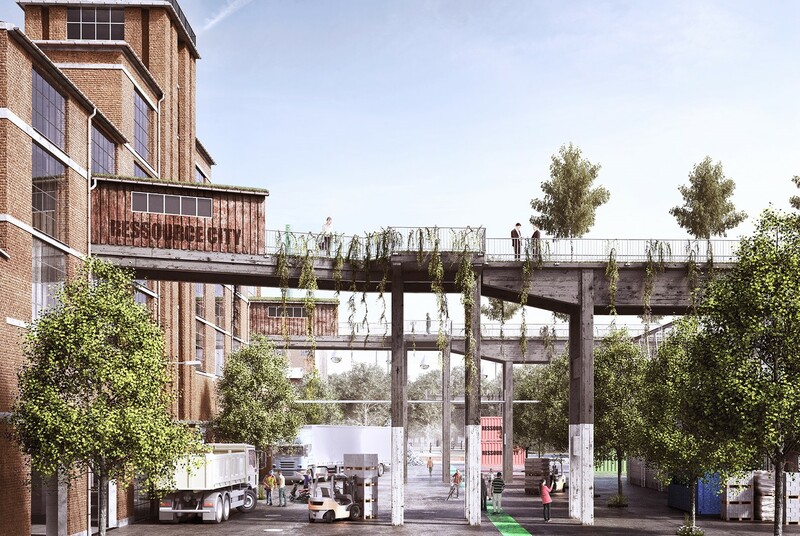 While some cities are known for their culinary specialities or architecture, Resource City aims to be THE Danish city where companies, educational institutions and entrepreneurs meet to design new products made from waste. The idea is to promote collaborative work, since the waste from one economic actor can be a source of raw materials for another. In addition to economic and environmental aspects, this project will also have a strong social dimension since it will create jobs and foster intergenerational cooperation towards the green transition. Naestved city received € 3.5 million from the Environmental Protection Agency of Denmark to carry out this pilot project. Maturity of the project: Pilot. The project’s needs: To attract recycling companies. Why do we love it: A shining example of circular economy: one company’s waste is another’s raw material. Can you summarize Ressource City in one sentence? Ressource City is the vision of how a more fruitful utilization of waste materials can shape positive development in Næstved municipality, Denmark. Where did the idea for Ressource City come from? The idea came from the necessity to create more jobs in Næstved. We realized that one of the strengths of our city is its organizations; that make recycling and upcycling one of our natural traits. Lendager Architects assisted us in the process of defining our strengths and developing the strategy that eventually led us to Ressource City. How do you see Ressource City’s future? Ressource City’s future shines brighter than ever. The current political encouragement facilitates the interplay between local administration and businesses in a way that we have not yet experienced. This is present globally as well as locally, where we find a high level of willingness to engage with a project like Ressource City. Furthermore we find that our vision resonates well in the public sphere. There is an awareness of projects with an overlying moral message of “doing good”. Ressource City aims at creating jobs while promoting awareness of waste as a resource. The fact that the goals we strive to achieve compliment each other truly bolsters our confidence in the future of Ressource City. Næstved has launched Ressource City – where one company’s waste is another company’s raw materials. A Swedish and a German company have joined the project too. From the outside, the building looks like a structure from the early days of the British Industrial Revolution. But inside is one of the most advanced plants for sorting glass – in fact, so advanced that the German owner is reluctant to allow us to take close-up pictures of it, fearing that competitors might unearth the trade secrets behind it. 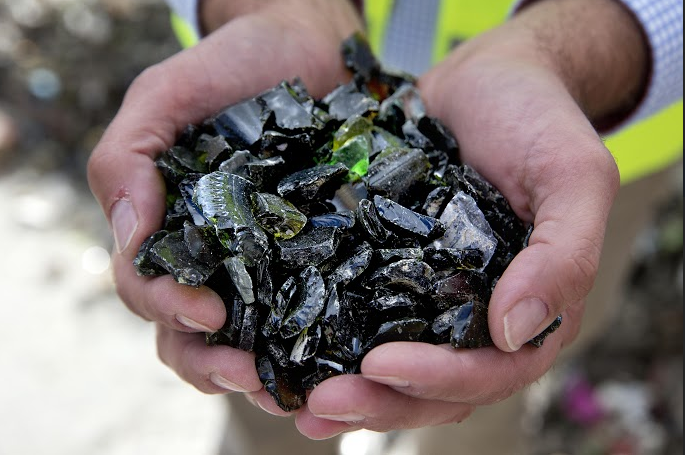 There is fierce competition between glass-recycling companies. The ability to turn a profit depends on the efficiency and the technological level of production – along with a slight dose of business acumen. “Modern European glass factories have been remodeled to recycle used glass and they are very happy about that, because it is far cheaper than new raw materials and you cut your energy bills by 30 to 40 percent energy with used glass”, says Kim Lykke, department manager at Reiling Glass Recycling Danmark, part of the German Reiling Group. “As a result, there is fierce competition to acquire used glass at the right price, and you can make a lot of money if the sorting of glass is done correctly”, he says. 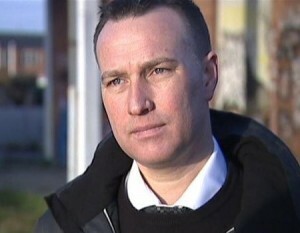 He is in charge of buying used glass on behalf of the company and has noticed that the market has changed dramatically. It costs much more to acquire used glass. Even wine bottles tossed in bottle banks all over Denmark have become valuable products. Reiling decided to settle in the middle of Næstved in an old paper factory, Maglemølle, which operated from the 1930s until 2012 when its remaining activities ceased. The area is located close to the port and the Næstved Canal, providing direct access to the Baltic Sea and the Great Belt. Many of the buildings have been deemed preservation-worthy – yet several of them are worn down. It has been a challenge to find the means to maintain the buildings and as a result, the local authorities are trying to encourage new companies to move in. On this issue, Kim Lykke is pleased. “We have to commend Næstved Municipality for being so accommodating, efficient and helpful when we came knocking on their door. They want to become a recycling mecca”, he says. It took some time for Kim Lykke to persuade the German owners that it made sense to set up shop in Næstved. Today the company has 35 people employed there. “My German colleagues were less confident. They didn’t think it was possible for a company like ours to be allowed to settle in the middle of a city. That would never have happened in Germany. But Næstved Municipality was accommodating in a way that allowed us to start producing quickly”, says Kim Lykke. The Reiling plant runs 24 hours a day on weekdays and is designed to be operational on weekends as well. Sara Vergo from Næstved Municipality chips in: “Historically speaking, we have always had an industrial area in Maglemølle, and every citizen has at least one relative who has worked at the paper factory. It’s part of the city’s DNA to have industrial companies located near the port”, she says. Sara Vergo serves as project manager for ‘Ressource City’, which is the name of the venture created in conjunction with Maglemølle Business Park. The goal is to attract companies that recycle each other’s materials, and the ambition is to create 100 new jobs and attract at least ten recycling companies over the next few years in the hope of creating a snowball effect. “Ressource City fits in at Maglemølle. It is possible to re-establish the industrial area using the old factory buildings – while respecting the environment, naturally – and with a location in the middle of Næstved and direct access to the port, this area is ideal for both businesses and regular visitors”, says Sara Vergo. Located next to Reiling is Swedish Ragn-Sells, another company that specialises in recycling and reuse. Ragn-Sells receives waste from other industrial companies – while also receiving containers dispatched from waste recovery sites all over Denmark. One of the containers is full of old doors and windows. And Ragn-Sells has struck a deal with Reiling to allow it to acquire the glass found in the windows. “We break the windows and the doors and conduct a preliminary sorting of wood and metal materials. Reiling then acquires the clear glass to be used in their production”, says Mads Nissen, machine operator and foreman at the Ragn-Sells plant in Næstved. “This is the type of recycling we want to promote through Ressource City”, says Sara Vergo. Ressource City is currently in the process of establishing a general office that will be tasked with attracting and servicing companies. For the time being, the employees are residing in a former barrack located close by. Næstved City Council sees great potential in the project, having provided DKK 3 million in funding. The money will be used for recruiting employees for the general office, strategic development and setting up permanent structures in Kraftcentralen, the former power station, which used to supply electricity and heating for the paper factory. Additionally, the National Agency of Environmental Protection has provided Ressource City with DKK 3.5 million in funding. The money will be used to fuel innovation and job creation by focusing on entrepreneurship. “We are making a determined effort to recruit and support companies interested in joining the project. We want to offer companies a professional assessment to uncover whether there is a potential for conserving resources. This screening will be free”, says Sara Vergo. Many cities are focused on attracting scientists, tech professionals and others specialising in high-tech. Why is Næstved moving in this direction? “First and foremost, recycling often is high-tech – consider the Reiling colour-optic sorting system. Second, it is our belief that in the future, rapid population growth will make the price of materials increase and as a result the demand for materials will grow, making it much more profitable than it is today”, she says. The Ressource City general office will provide mentoring, support for green business development, shared office facilities and a workshop with modern machines that will contribute to the development of new prototypes. Foreman at Ragn-Sells, Mads Nissen, says that they receive 5 tonnes of PVC every week, primarily in the shape of sheets used for garden sheds and carports. 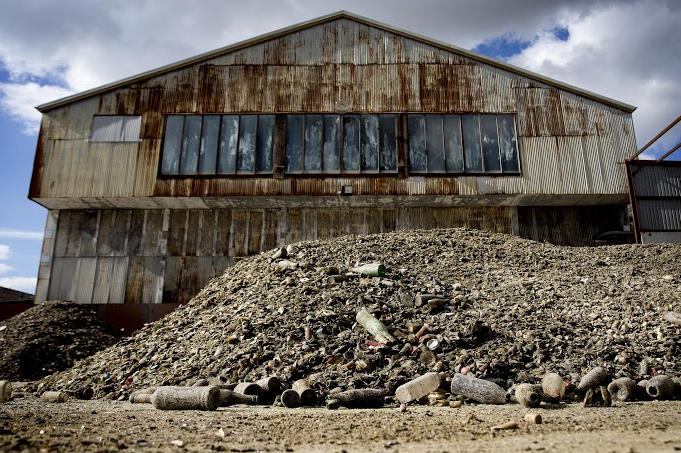 “It takes up a lot of space and it has to be transported to a special waste site. We are unable to recycle it and it is too toxic to incinerate”, says Mads Nissen. “This is something we would very much like to try to solve. If Ressource City is able to convince a few students from the Technical University of Denmark (DTU) to take a look at this and find a solution, we’d be thrilled”, says Sara Vergo. Maglemølle’s total floor area covers 60,000 square metres divided between 79 buildings, leaving plenty of room for development. Næstved a lancé Resource City : là où les déchets d’une entreprise sont les matières premières d’une autre. Deux entreprises, l’une suédoise et l’autre allemande, participent également au projet. Vu de l’extérieur, le bâtiment ressemble à un édifice du début de la révolution industrielle britannique. Mais à l’intérieur se trouve l’une des usines de tri du verre les plus sophistiquées ; tellement sophistiquée que le dirigeant allemand est peu disposé à nous laisser prendre des photos de son usine en gros plan, craignant que ses concurrents ne puissent en découvrir les secrets commerciaux. La concurrence est féroce entre les entreprises de recyclage de verre. La capacité à dégager un bénéfice dépend de l’efficacité et du niveau technologique de la production, le tout accompagné d’un certain sens des affaires. « Les usines européennes modernes de fabrication de verre ont été rénovées afin de recycler le verre usagé et elles en sont ravies car cela est nettement moins cher que les nouvelles matières premières et le verre usagé permet de réduire les dépenses énergétiques de 30 à 40 % », déclare Kim Lykke, chef de service chez Reiling Glass Recycling Danmark, membre du groupe allemand Reiling. « Il en résulte une concurrence féroce pour obtenir du verre usagé au meilleur prix, et un tri du verre correctement effectué peut rapporter beaucoup d’argent », explique K. Lykke. Ce dernier est chargé de l’achat du verre usagé pour le compte de l’entreprise et a constaté un changement radical du marché. Le verre usagé est désormais beaucoup plus cher. Même les bouteilles de vin jetées dans les conteneurs à travers le Danemark sont devenues des produits très prisés. Reiling a décidé de s’implanter au cœur de Næstved dans une ancienne usine de fabrication de papier, Maglemølle, en fonctionement depuis les années 1930 et jusqu’à 2012, date à laquelle les dernières activités ont été démantelées. La zone est située près du port et du Canal de Næstved avec un accès direct à la mer Baltique et à la ceinture verte européenne. De nombreux bâtiments devraient être préservés même si plusieurs d’entre eux sont en ruine. Il a été difficile de trouver les moyens pour préserver les bâtiments et c’est pourquoi les autorités locales tentent d’encourager de nouvelles entreprises à s’installer. Sur ce point, Kim Lykke est ravi. « Nous devons féliciter la municipalité de Næstved qui a été tellement conciliante, efficace et serviable quand nous sommes venus frapper à leur porte. Ils veulent devenir la Mecque du recyclage, » déclare-t-il. Kim Lykke a mis du temps avant de convaincre les dirigeants de s’installer à Næstved. Aujourd’hui l’entreprise y emploie 35 personnes. « Mes collègues allemands n’étaient pas convaincus. Ils ne pensaient pas qu’une entreprise comme la nôtre ait le droit de s’installer au centre d’une ville. Cela n’aurait jamais été possible en Allemagne. Mais la municipalité de Næstved a fait preuve d’une grande compréhension et nous avons pu commencer à produire rapidement, » explique Kim Lykke. L’usine de Reiling tourne 24 heures sur 24 du lundi au vendredi, mais elle est destinée à fonctionner également le weekend. Sara Vergo de la municipalité de Næstved ajoute : « Historiquement, nous avons toujours eu une zone industrielle à Maglemølle, et chaque habitant a au moins un membre de sa famille qui a travaillé dans l’usine de fabrication de papier. Avoir des entreprises industrielles situées à proximité du port fait partie de l’ADN de cette ville », précise-t-elle. Sara Vergo est chef de projet pour ‘Ressource City’, le nom de l’entreprise créée en association avec la zone industrielle de Maglemølle. L’objectif est d’attirer des entreprises qui recyclent mutuellement leurs matières pour, à terme, créer 100 nouveaux emplois et attirer au moins 10 entreprises de recyclage au cours des prochaines années dans l’espoir d’engendrer un effet boule de neige. « Ressource City correspond bien à Maglemølle. On peut recréer la zone industrielle en investissant les bâtiments de l’ancienne usine tout en respectant, bien sûr, l’environnement. Située en plein cœur de Næstved et avec un accès direct au port, cette zone est parfaite pour le commerce et pour les visiteurs habituels, » précise Sara Vergo. Juste à côté de Reiling, le Ragn-Sells suédois est lui aussi spécialisé dans le recyclage et la réutilisation. Ragn-Sells reçoit les déchets des autres entreprises industrielles, mais également des conteneurs en provenance de sites de récupération des déchets situés dans tout le Danemark. L’un des conteneurs est rempli de vieilles portes et fenêtres. Et Ragn-Sells a conclu un marché avec Reiling lui permettant d’obtenir le verre des fenêtres. « Nous brisons les fenêtres et les portes et procédons à un tri préliminaire des matériaux en bois et en métal. Reiling reprend ensuite le verre transparent pour l’utiliser dans sa production, » explique Mads Nissen, opérateur et contremaître au sein de l’usine Ragn-Sells à Næstved. « C’est ce type de recyclage que nous souhaitons encourager avec Ressource City, » déclare Sara Vergo. Ressource City travaille actuellement à la mise en place d’un bureau central chargé d’attirer et de soutenir les entreprises. En attendant, les employés sont basés dans une ancienne caserne à proximité. Le conseil municipal de Næstved est conscient du fort potentiel de ce projet et l’a financé à hauteur de 3 millions de DKK. Cet argent est destiné au recrutement des employés pour le bureau central, au développement stratégique et à la mise en place de structures permanentes au sein de Kraftcentralen, l’ancienne centrale électrique qui alimentait l’usine de fabrication de papier en électricité et en chauffage. Par ailleurs, l’Agence nationale pour la protection de l’environnement a financé Ressource City à hauteur de 3,5 millions de DKK. Cet argent est destiné à alimenter l’innovation et la création d’emplois en se focalisant sur l’entreprenariat. « Nous sommes bien déterminés à recruter et à soutenir les entreprises qui souhaitent faire partie du projet. Nous voulons offrir aux entreprises une évaluation professionnelle afin de détecter s’il existe un potentiel de conservation des ressources. Ce contrôle sera gratuit, » précise Sara Vergo. De nombreuses villes cherchent à attirer des scientifiques, des cadres techniques et autres spécialistes des hautes technologies. Pourquoi Næstved prend-elle cette direction ? « Tout d’abord, le recyclage, c’est souvent de la haute technologie si on considère le système de tri de Reiling, basé sur la couleur.. Ensuite, nous sommes convaincus qu’à l’avenir, la croissance rapide de la population fera augmenter le prix des matières et donc la demande par la même occasion, la rendant finalement beaucoup plus rentable qu’elle ne l’est aujourd’hui, » explique-t-elle. Le bureau central de Ressource City proposera des services de conseil et de soutien pour le développement de l’économie verte, des locaux communs et un atelier doté de machines modernes pour contribuer au développement de nouveaux prototypes. Le PVC est-il recyclable ? Contremaître chez Ragn-Sells, Mads Nissen précise qu’ils reçoivent 5 tonnes de PVC par semaine, principalement sous forme de plaques utilisées pour les abris de jardin et les auvents pour voitures. « Cela nous prend beaucoup de place et doit être transporté vers un site spécial pour déchets. Nous ne pouvons pas le recycler et il est trop toxique pour être incinéré, » explique Mads Nissen. « Nous aimerions vraiment régler ce problème. Si Ressource City parvient à convaincre quelques étudiants de l’Université Technique du Danemark (DTU) de se pencher sur le sujet et de trouver une solution, nous serions aux anges, » affirme Sara Vergo. La surface au sol totale de Maglemølle est de 60 000 m² répartis sur 79 bâtiments, ce qui laisse encore beaucoup d’espace de développement potentiel.